SELLER ASSISTING! 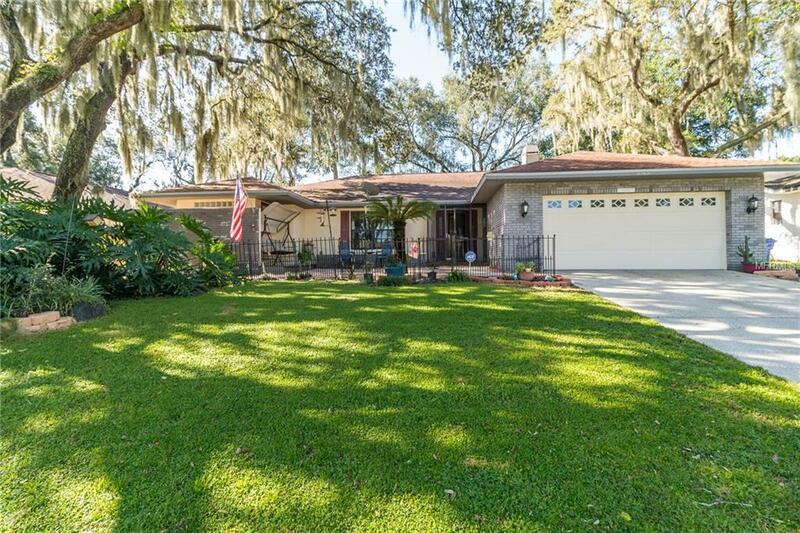 Dont miss your chance to own this meticulously kept home nestled in the heart of Valrico! The pride of ownership is seen throughout this four bedroom, two bathroom split-floor plan piece of charm. Boasting over 2,300 square feet of living space, this home is perfect to grow into. You'll love coming home and passing through the gated garden courtyard as you enter the front door. The granite countertops, updated cabinetry, and large counter space is sure to cultivate your inner chef! Love to entertain? The lush landscaping and mature Oak trees in the fenced-in backyard provides plenty of shade for year round barbecues and offers privacy to play catch or let your pets roam freely. The air conditioned Florida room allows you to escape the summer sun and the wood burning fireplace is perfect for cuddling up on those cool winter nights - this home is ready for every season! The backyard is a blank canvas and only limited to your imagination! Wrap up your evening with a beverage of choice sitting in your screened in, covered lanai or escape reality in a soothing bubble bath in your personal spa-sized garden tub. Conveniently located to great restaurants, shopping, entertaining, I-75 and the Crosstown Expressway. No HOA and easy access to everything! Call today to schedule your private showing! Additional Lease Restrictions See Deed Restrictions For Lease Restrictions If Any.